You have all seen them, the “party rooms” at pretty much any birthday party place with the blank walls you aren’t allowed to hang anything on. 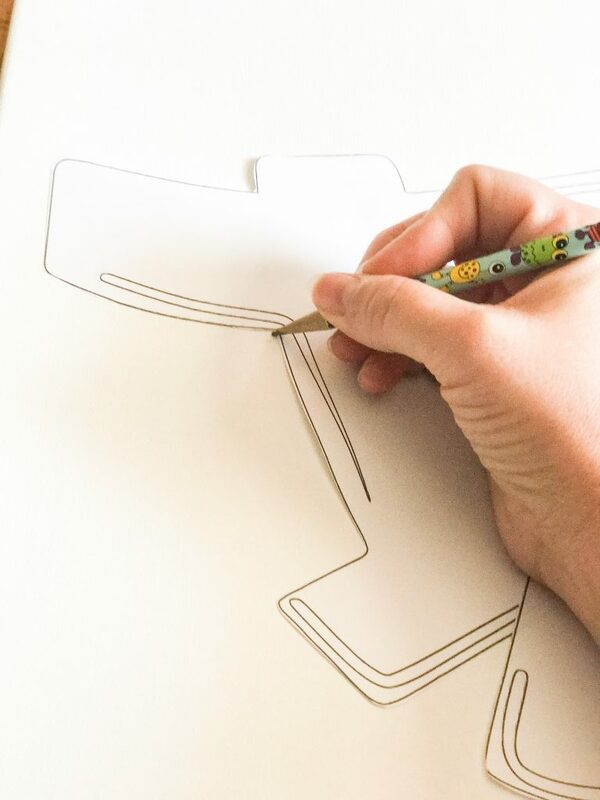 Our first party prep item was to tackle a large wall decoration that could be “balanced” against the wall AND doubles as a bedroom decoration after his big day! 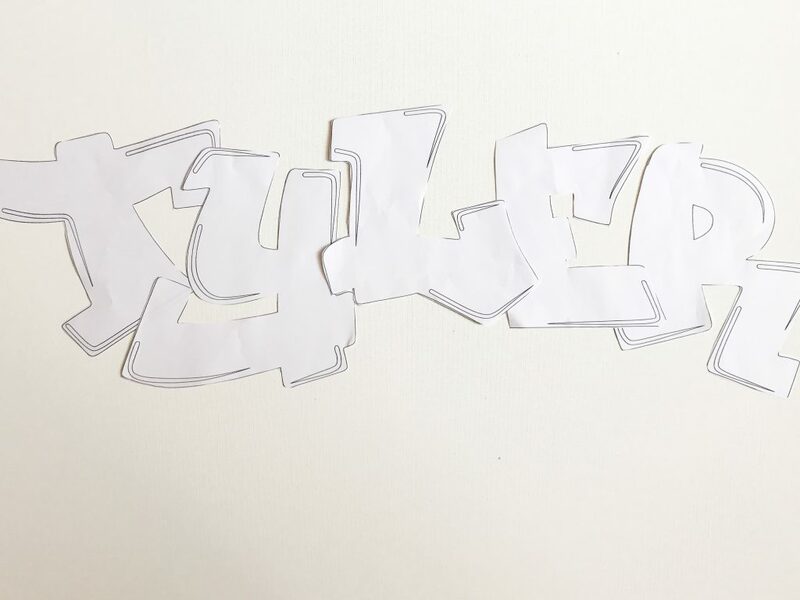 Download a graffiti style font (we used a free one found here). Enlarge each letter of the name so that only one letter fits per page. For example, we used a 400 pt. font size. Print each letter, then cut them out. 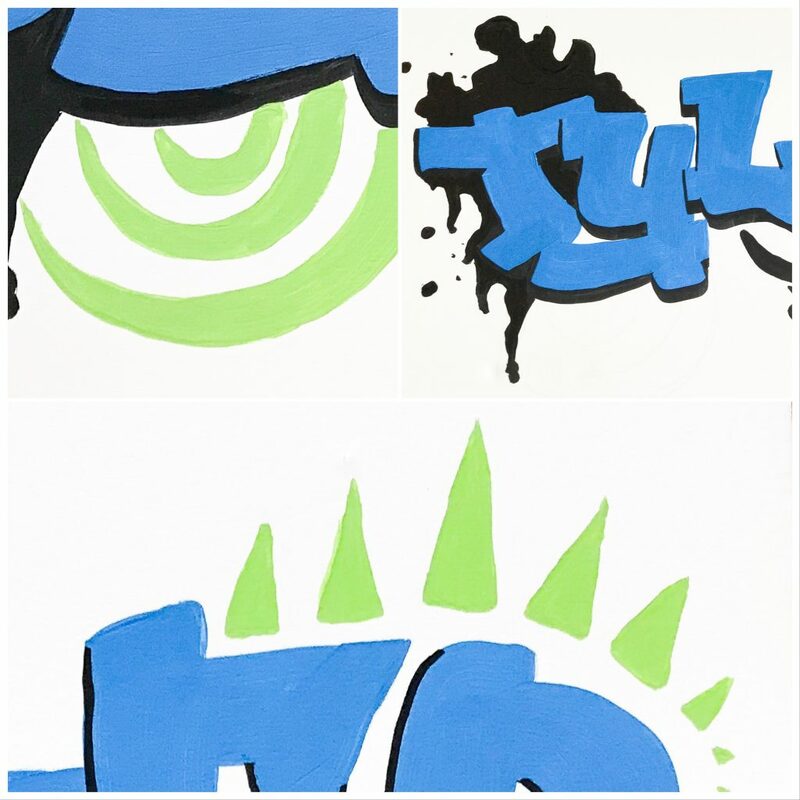 Arrange The letters on your canvas. Typical graffiti connects the letters together or overlaps so don’t worry if you squish it in a little. Trace the outline of the letters. I went ahead and traced the full letter to help know where to separate them later. 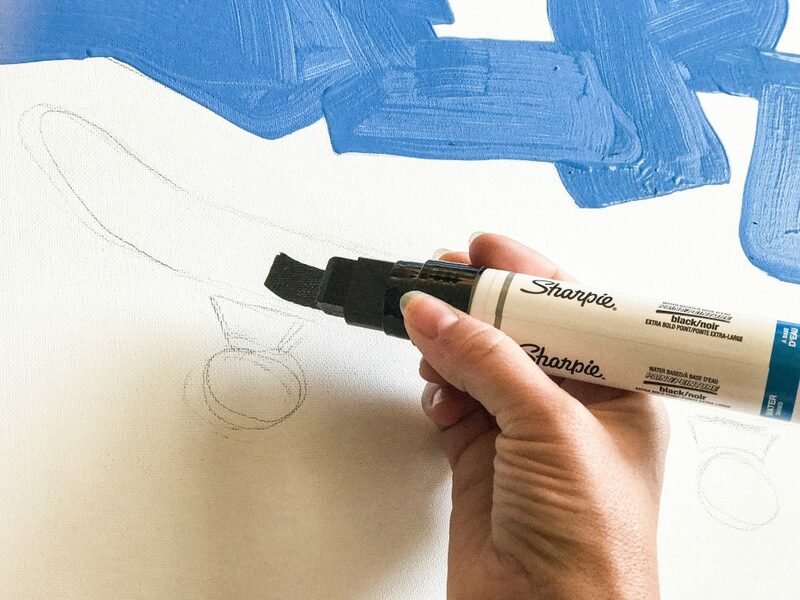 Using the Foam brush, fill in the letters with paint. Let it dry completely between coats. I did go back and touch up any white spots later with a smaller brush. While the letters are drying, start working on the surrounding details. 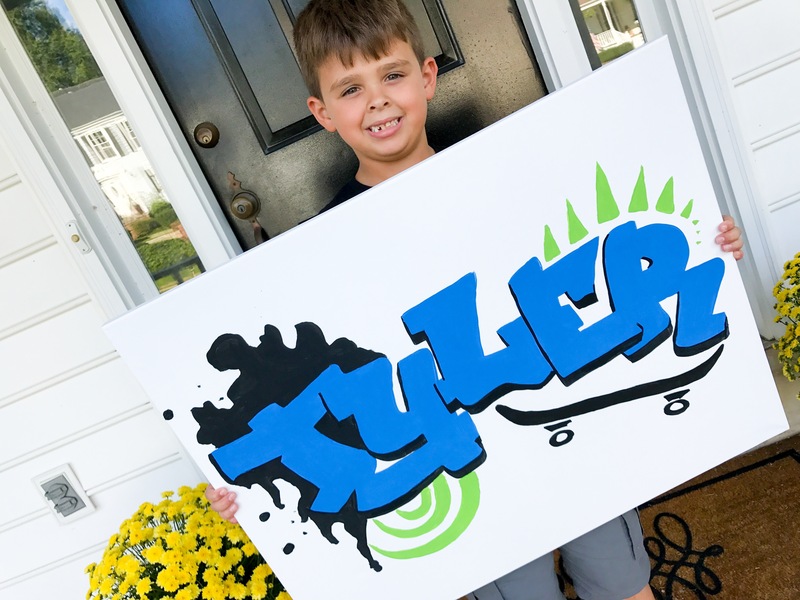 Since my son is into skateboards right now, I added one under his name using the large sharpie. 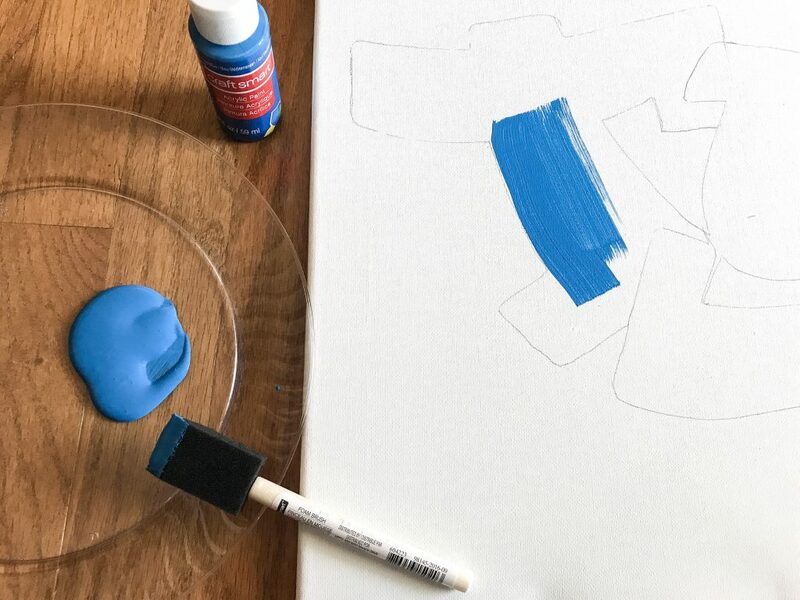 It was a little easier to control and get a straight line then the foam paint brushes. Once the letters dry, it’s time to highlight them. 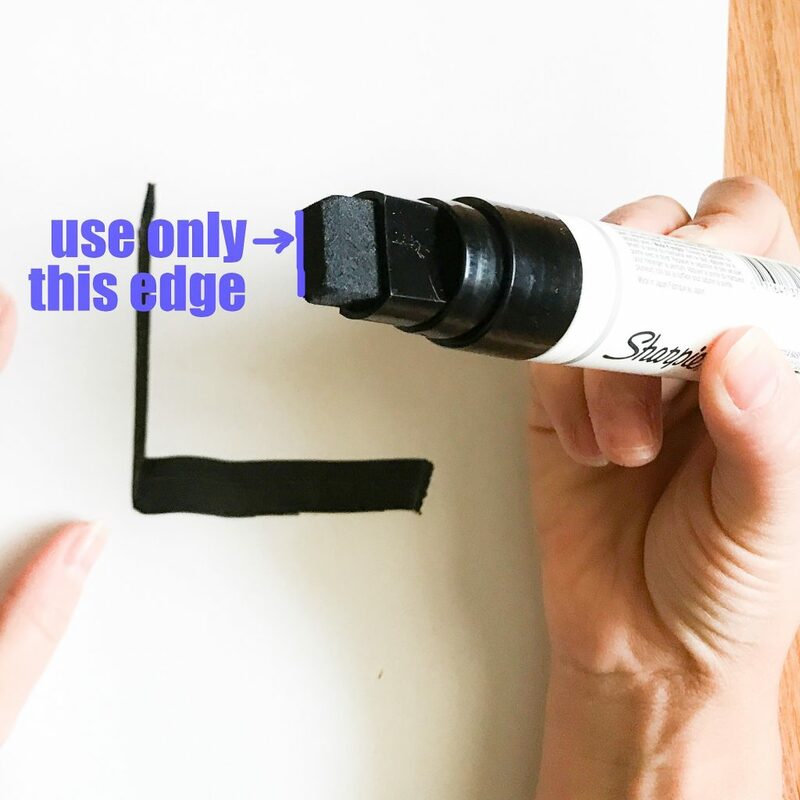 Using the long edge of the sharpie (see image above), keep it in the same position as you draw down and then sideways. 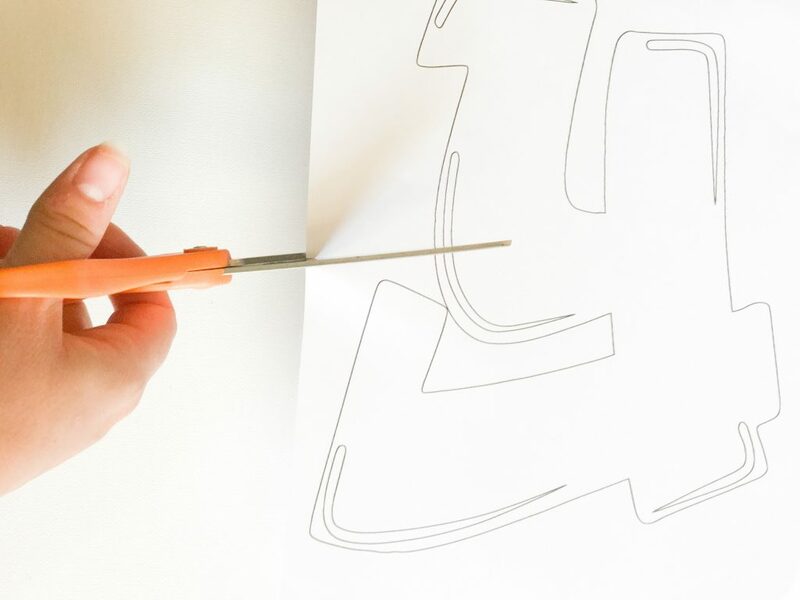 It will automatically create a small line down and large line going sideways. Always do the highlight on the same side of each letter. For our picture, I did the small line on the left hand side of the letter and a large line on the bottom portion of the letter’s open spaces. 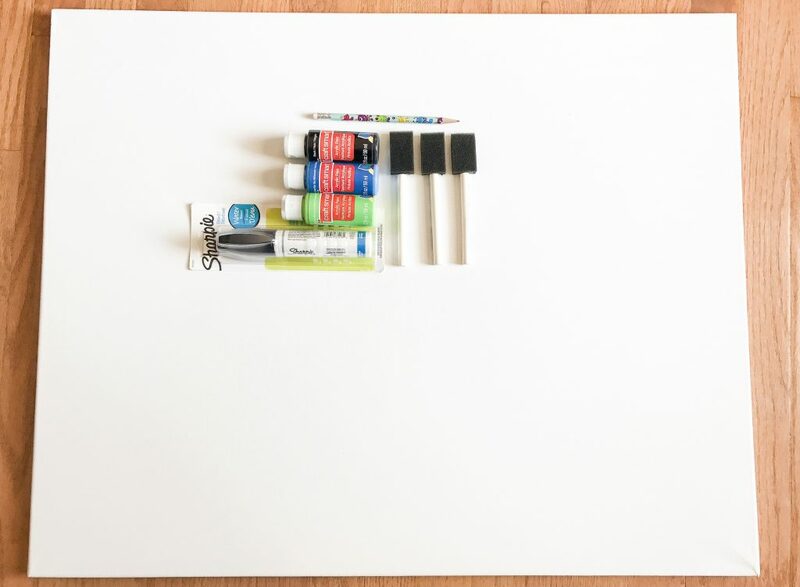 ​The video above demonstrates keeping your sharpie in the same position and using the long edge to create both the thin vertical lines and the wide horizontal lines. Happy Birthday to this skater dude!